This Norwood 5 to 6 patient was treated 6 months ago in the frontal area and top .The results presented represent 50% of what we should expect in theory. I just want to underline the fact that FIT/FUEwell performed is the way to go for extensive hair loss because of the flexibility it offers in hair styling . 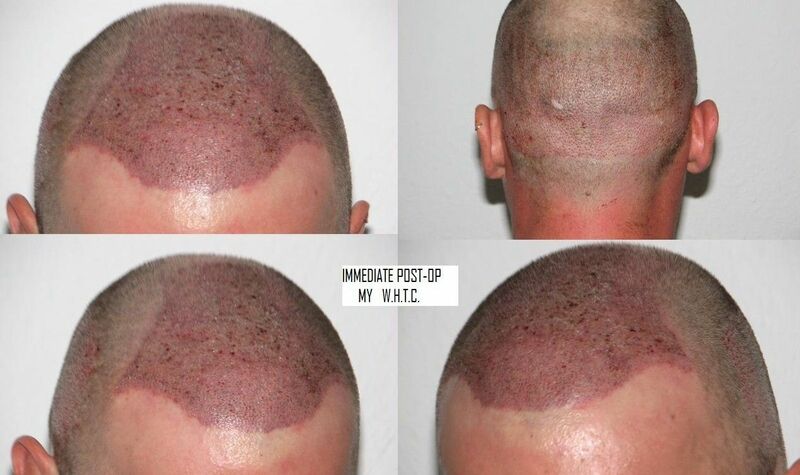 If a patient is OK with hair growth and decide to keep his hairs longer ,we can perform a strip after to get much grafts .We should always start with the safest approach ,considering everytime the worst case scenario (big scar vs multiple white dots ;which one is easy to handle? 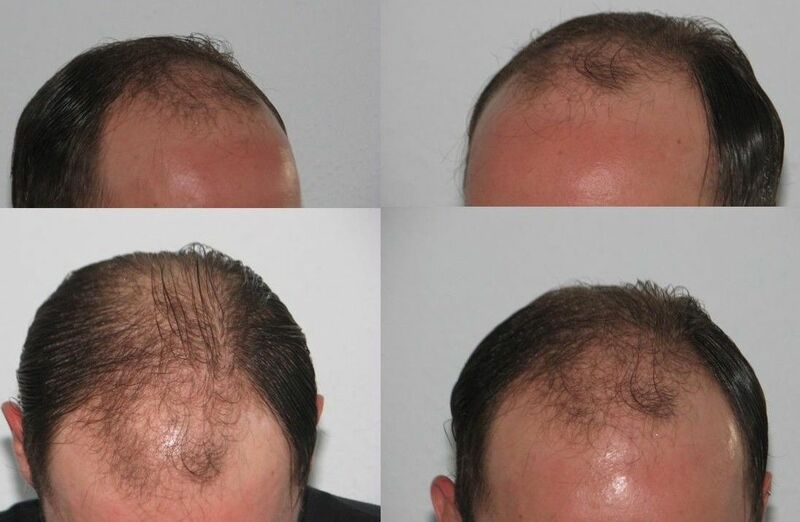 ).Because the results on the recipient area are quite the same .The only limit for FUE/FIT right now is the gigasession (5000 grafts and plus:then go for strip). I’m very impressed. I’d put this in the FUE league of Bisanga and Shapiro- The best. How many days was this procedure performed over? 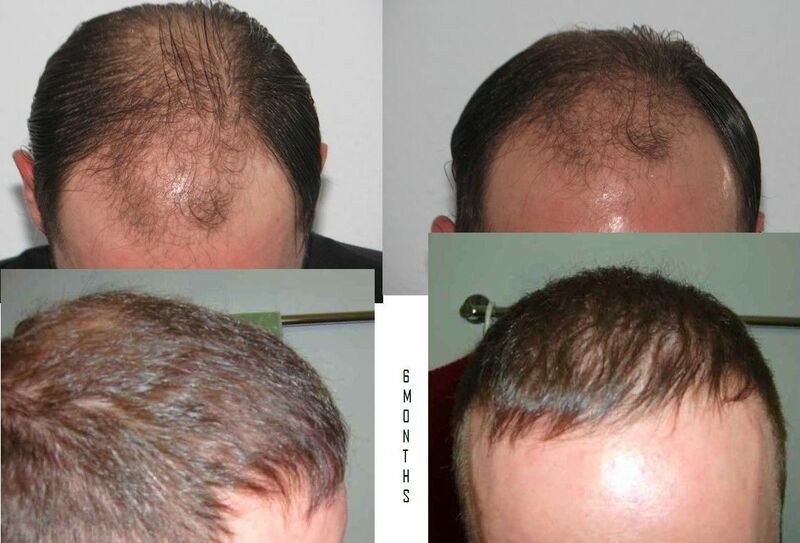 Where can we see more of your FUE results? It took 4 days to perform the surgery .Our goal is 1000 grafts a day ,even though we are able to perform 1500 to 2000 grafts a day.We do not want to put pressure on the patient or the team .1000 grafts is based on difficult cases . These are excellent results Dr Mwamba. I would really be interested in seeing his results 6 months from now. 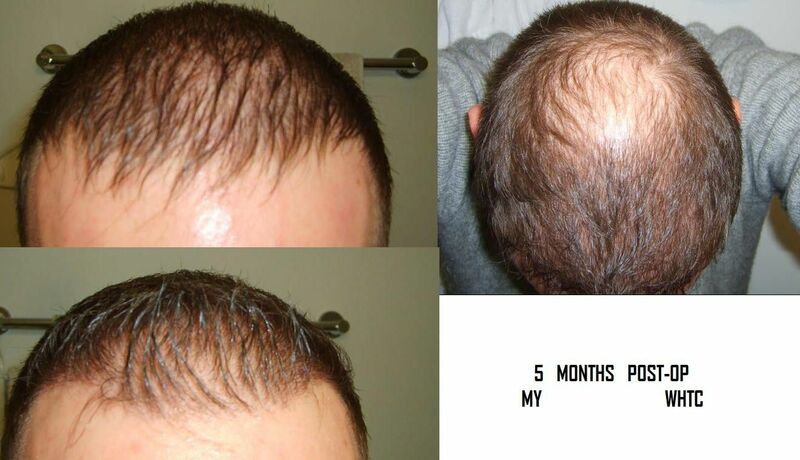 these are some really good results especially for only 5 months. this guy must be excited to see what comes in the next several months. great choice of graft placement starting with the front area. Just curious, how would you describe this patient’s donor density? Does he have enough left to finish off the job using FUE only? Also, do you have any protocol for FUE extraction- how much of the donor you are willing to harvest? Do you find that the “average” donor has enough grafts to perform a complete FUE restoration on a NW5-6? » Just curious, how would you describe this patient’s donor density? THE PATIENT HAD AN AVERAGE OF 89 FU/CM2 (AVERAGE IN GENERAL POPULATION IS FROM 80 TO 100 FU/CM2) AND A CD (CALCULATED DENSITY IE NUMBER OF HAIRS PER GRAFT ) OF 2 HAIRS PER GRAFT ( AVERAGE IN GENERAL POPULATION IS FROM 1.8 TO 2.2).tHE PATIENT HAD A GOOD DONOR AREA . » have enough left to finish off the job using FUE only? YES , HE DOES . THE PATIENT HAD A TOTAL OF 18067 FOLLICLES AVAILABLE IN HIS SAFE DONOR AREA.WE CAN HARVEST UP TO 25 % OF THE DONOR IN ONE SESSION (IE 4500 GRAFTS IN THIS PATIENT ).WE ONLY HARVEST 18 % BECAUSE SOME GRAFTS HAD TO BE SPLIT IN SINGLES FOR HAIR LINE WORK. WE KNOW IN THEORY THAT YOU COULD HARVEST UP TO 50 % OF THE DONOR WITHOUT CHANGING ITS APPEARANCE .I USUALLY PUT MY LIMIT TO 40 % TO BE ON THE SAFE SIDE .OUR PATIENT HAVE 7226 GRAFTS THAT COULD BE USE SAFELY.WHEN I LOOK HIS CROWN OR VERTEX ,HE WILL NEED 2500 TO 3000 GRAFTS .AND I HAVE THE POSSIBILITY TO GET THEM AND I STILL HAVE 500 REMAINING GRAFTS TO FIX OR ADD SOME DENSITY ON TOP IF REQUIRED . » you are willing to harvest? I USUALLY DIVIDE MY DONOR AREA IN DIFFERENT ZONE .WITH A PROSCOPE ,I ASSESS HAIRS CHARACTRISTICS (DONOR DENSITY ,CALCULATED DENSITY,HAIR CLAIBER ,ETC…MY PRE-OP CONSULLTATION TAKE 1H00 TO 1H30 TO GATHER ALL THE INFO AND ESTABLISH MY STRATEGY . IN MY ROUTINE DAILY WORK ,I DO HARVEST FROM 15 TO 18 % OF MY DONOR.i COULD GO UP TO 25 % BUT I LIKE TO GIVE ME ROOM FOR COMING SESSIONS . » complete FUE restoration on a NW5-6? IF WE CONSIDER THE AVERAGE DENSITY OF 80 FU/CM2 AND AN AVERAGE DONOR AREA OF 203 CM2 ,THE TOTAL AMOUNT OF FOLLICLES IS 16240 GRAFTS .IF I ALSO CONSIDER 40 % AS A SAFE LEVEL OF HARVESTING ,IT BRING US TO 6500 FOLLICLES AVAILABLE. A NW5 TO 6 HAVE A RECIPIENT AREA BETWEEN 150 TO 200CM2 . GRAFTING AT 50% OF HIS DONOR DENSITY IE 40 FU/CM2 IS ACCEPTABLE.HE WILL NEED FROM 6000 TO 8000 GRAFTS TO FINISH THE WORK. AND WE HAVE 6500 GRAFTS .IN SOME CASES WE WILL AND IN OTHERS WE HAVE TO PUSH OR CONSIDER OTHERS SOURCES SUCH AS COMBO FUE/STRIP OR FUE/BHT .ESPECIALLY IF THE PATIENT IS REQUESTING DENSE PACKING .THE KEY IS TO PLAN WELL AND TO WORK TOGETHER WITH THE PATIENT FOR REALISTICS GOALS . 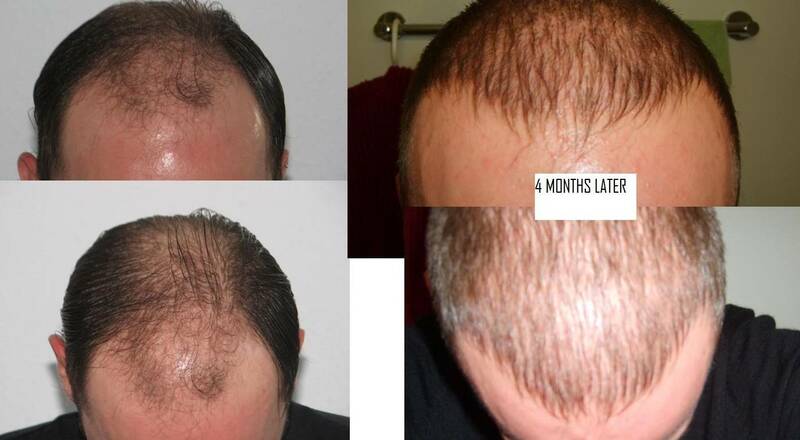 » see more of your FUE results? I don’t understand how you can be impressed when this is only 5 months with barely noticeable change in appearance, BTW, I have neve seen any good fue photos from Shapiro before. Not bad for early growth. I’ll tell ya! » interested in seeing his results 6 months from now.